So the thing about Bed-Stuy is, there really aren’t many hotels in the neighborhood. Which makes sense because it’s largely a residential neighborhood and not a huge business or tourist center. 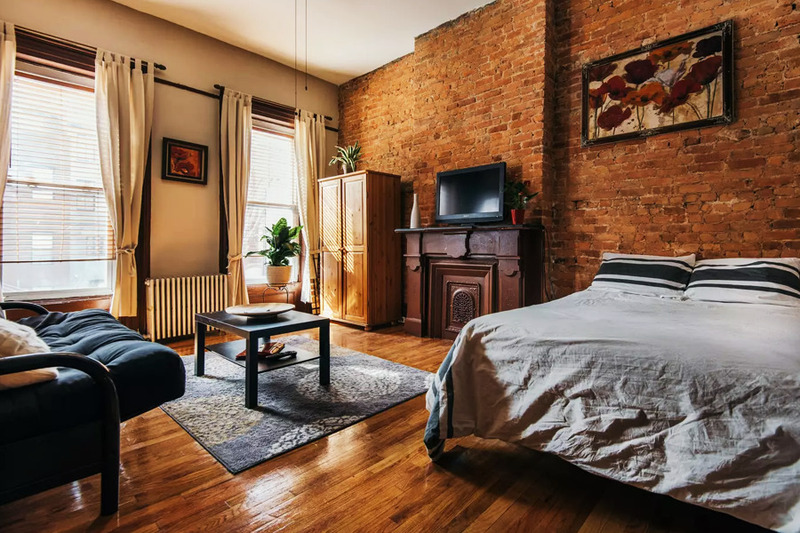 The dearth of hotels presents a huge opportunity to live like a local in one of the many brownstone apartments available on Airbnb. When compared to the cost of hotels in Brooklyn, this option also tends to be a lot more affordable. 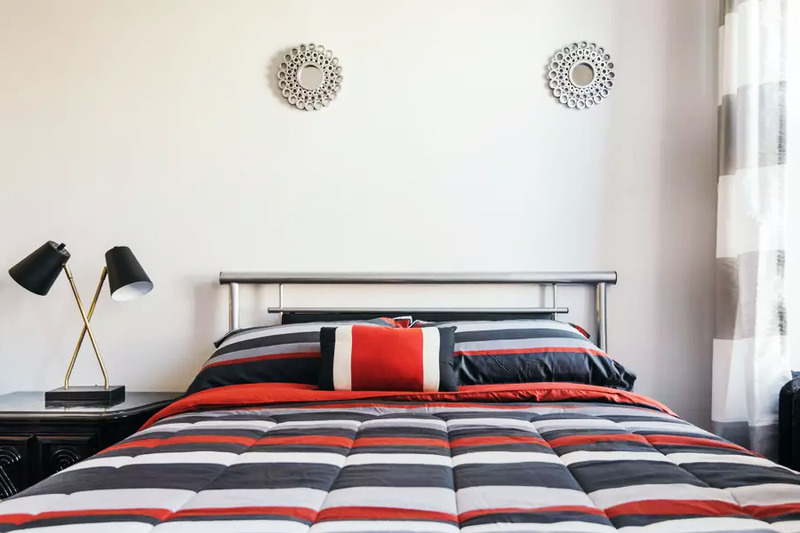 In fact, we originally set out to make a list of “the best” places to stay in Bed-Stuy and fortuitously all the places we chose just happened to fall under $100/night. 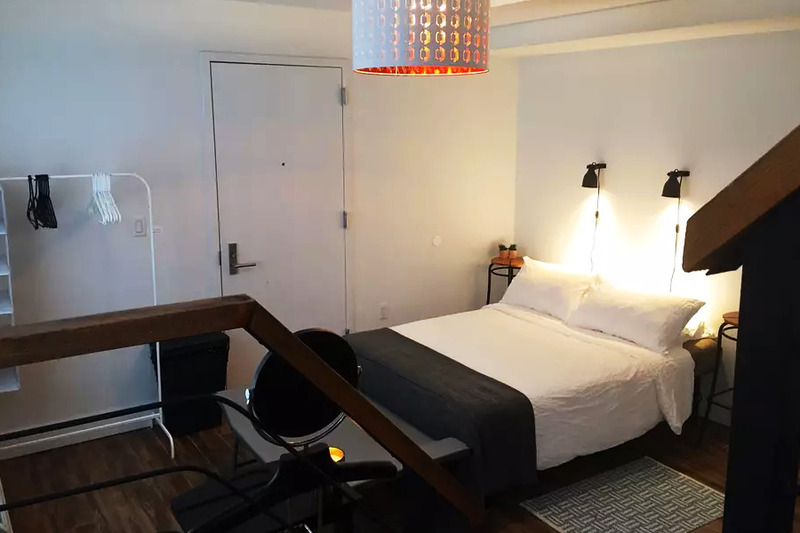 For those who feel more comfortable staying in a hotel or are concerned about wheelchair accessibility, we recommend The Brooklyn on Atlantic, with rates starting at $110/night in February. 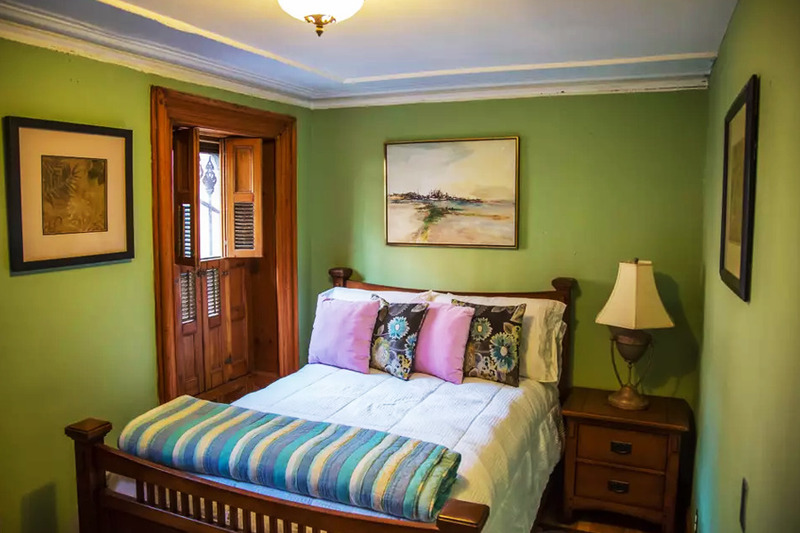 Guests can stay in one of two available bedrooms in this light-filled apartment, which is shared with the host, Carolina, and her partner. 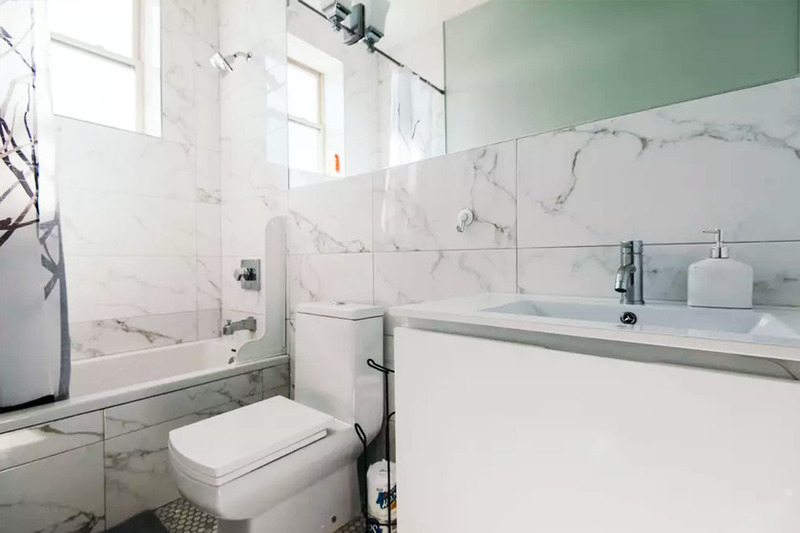 Many reviewers remarked on how clean the apartment was, and positively commented on the amount of privacy afforded for a shared space. 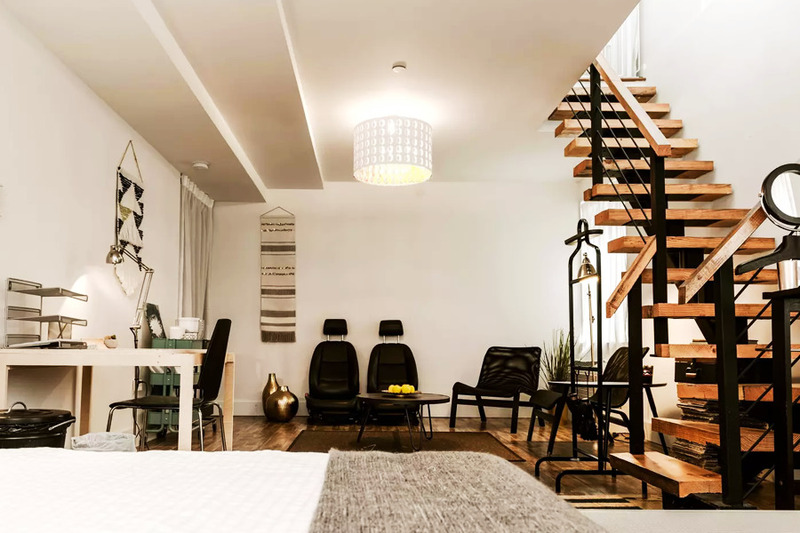 If you’re a solo traveller that prefers other humans around, or one who just doesn’t want to pay extra for space you won’t use, Carolina’s apartment is perfect for you and just three blocks from the nearest G train station. This airbnb is not wheelchair accessible. 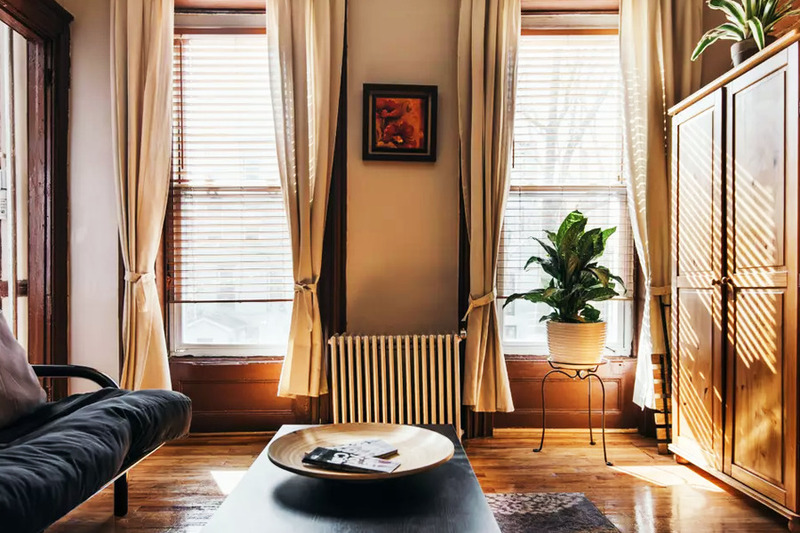 For solo-travellers who prefer having the privacy of an entire unit to themselves, look no further than Yoki’s renovated 1800’s brownstone. 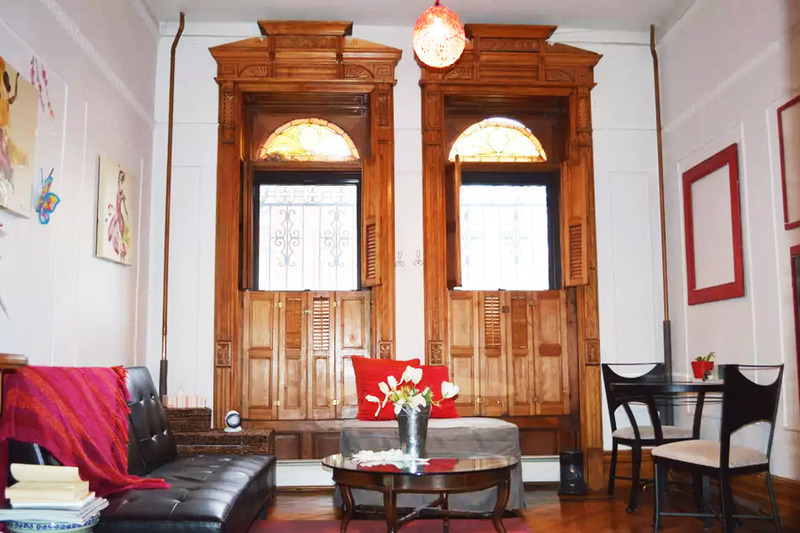 The apartment is full of historic touches like carved wood and stained glass. The unit is quite cozy, so while it can fit up to 3 guests, for the price we think it’s reasonable to go solo on this one. 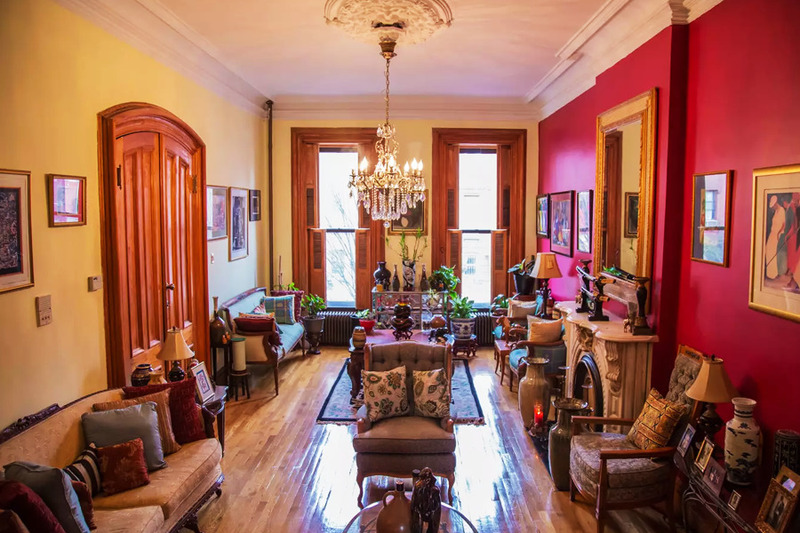 This historic brownstone straddles the border between Bed-Stuy and its neighboring neighborhood (heh) Clinton Hill. Donovan’s apartment is not only filled with antiques and unique treasures, it’s a treasure in itself because of the shared backyard space you have access to. Any New Yorker will tell you, that’s quite the rarity. 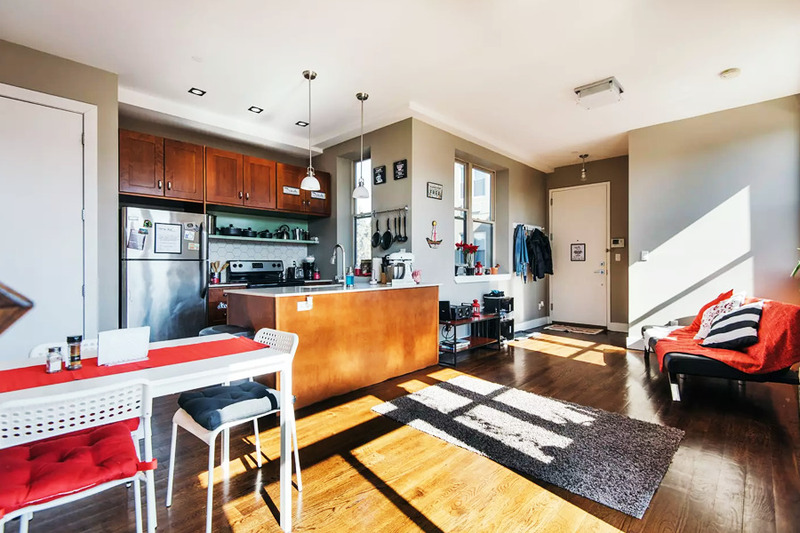 For couples looking for a more modern space than the traditional brownstone, there’s Linda and Dorian’s townhouse. The guest unit is located on the basement floor but couldn’t look more inviting. And they weren’t kidding about the ‘spacious’ part. The unit has high ceilings and enough room for a bed, working area, and lounging area. Honestly this is my favorite Airbnb on the list. Michelle’s cozy brownstone studio gets gorgeous light and looks so inviting. It’s actually just fine for a couple or a solo traveller but because of the price (most expensive on this list) we think it’s the best value for a family traveling with young children. Though the studio can sleep 4, other reviewers have noted it can be a little tight for four adults. A family of four or group of friends would feel totally comfortable in Pamela’s space. 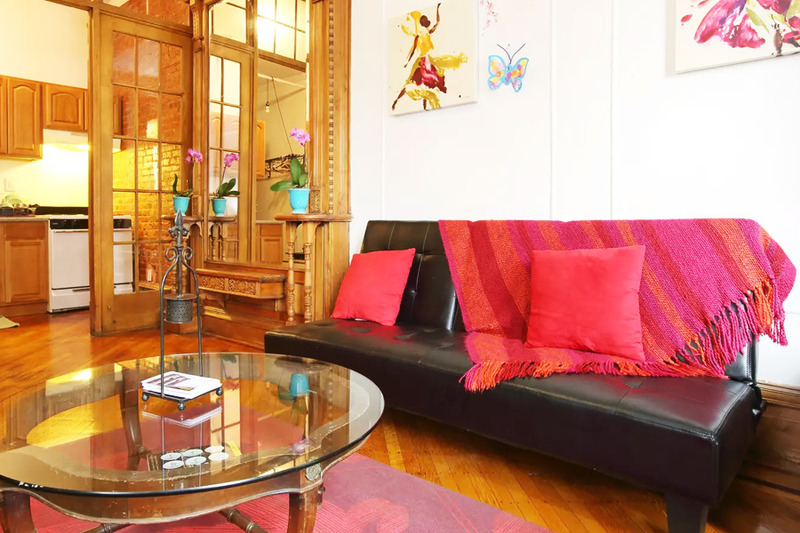 There are two other rooms in the apartment available for rent, making it a true guest-house. 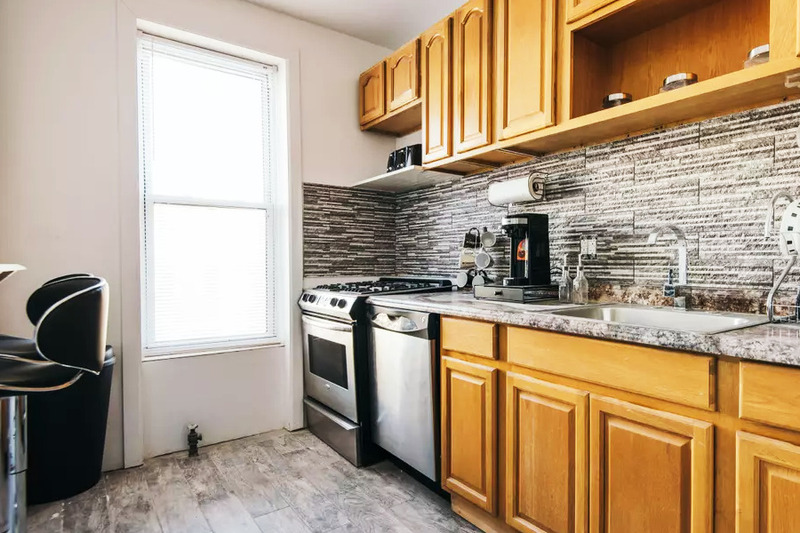 The kitchen is spacious for New York standards and many reviewers noted how clean and modern the bathroom facilities are. The other thing they noted? That Pamela is a natural born host.